According to Frontpage Africa, The Government of Liberia, through the Ministry of Justice, has alluded to reports that containers and bags of money allegedly arrived in the country and went missing. In the Justice Ministry’s release issued few hours ago on Monday, September 17, under the signature of the Justice Minister, Cllr. Frank Musa Dean, Jnr., the government didn’t say what currency or the total amount of the money that has allegedly gone missing. But a FrontpageAfrica news story published in its Monday, September 17, 2018 edition, states that money amounts to L$9 billion (US$60 million). 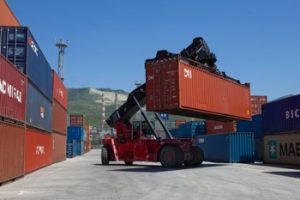 The Justice Minister further said evidence available to the government’s Investigative Team has established that the current administration was not informed about the arrival of the containers and bags of moneys into the country.